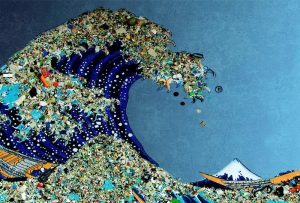 Plastic pollution was a major topic at the 2018 G7 Ministerial Meeting held in Halifax, Nova Scotia last September. Plastic pollution has factored into the destruction of marine life, contributed to extreme weather conditions, and impacts the overall health and sustainability of the entire ecosystem. Every living being is affected by the problem of plastic pollution. Healthy oceans are required for healthy living. Ministers from G7 member countries came together to discuss the issues at the G7 meeting themed, “Working Together on Climate Change, Oceans and Clean Energy.” They raised concerns regarding the required collaborative partnerships with relevant stakeholders, international organizations, the private sector, and civil society in order to effectively plan and implement the goals. Canadian ministers Jonathan Wilkinson, Minister of Fisheries, Oceans and the Canadian Coast Guard, Catherine McKenna, Minister of Environment and Climate Change, and Amarjeet Sohi, Minister of Natural Resources were the co-hosts of the meeting. At the meeting, several major corporations including Unilever, Loblaws, Nestle Canada, and others voiced their support of the Oceans Plastic Charter, which was announced at the Charlevoix G7 Summit earlier in 2018. Canada promised an investment of $600,000 to support the Marine Pollution Monitoring Program. They also pledged $6 million in support of worldwide plastic pollution action through cooperation between public and private sector organizations. G7 members established the G7 Innovation Challenge to combat the problem of marine plastic litter. Canada will contribute $20 million for this challenge. Global Fishing Watch is a non-profit organization set up to monitor oceanic resources. Ministers on behalf of the Canadian government promised to support the organization’s work at the meeting. The government also announced its commitment to increasing all marine monitoring efforts and sharing of data to better address the threats that Earth’s oceans face. In order to extend support to Small Island Developing States—an unofficial list that includes Cuba, Haiti, Papua New Guinea, Singapore, and many other island nations from across the world—the Government of Canada promised to fund them with $60 million. This funding will go towards building better clean energy systems, particularly improving energy access and employment opportunities for.